The words polycystic ovary syndrome are Googled over 100,000 times every month. It's no surprise the search volume is so high—PCOS is the most common hormonal disorder in women of reproductive age, though it isn't discussed often in everyday life. According to Fiona McCulloch, ND, a PCOS sufferer herself, the condition affects "10% to 15% of women and upward of 7 million women in the U.S. alone." It is the number one reason women in their 20s and early 30s experience fertility issues, she says, so it's really a wonder we don't talk about PCOS as much as we talk about periods, birth control, and other reproductive matters. For as widespread and life-altering as PCOS can be, it is not entirely understood by science—at least not yet. "It is a complex syndrome, and I think one that is gaining more and more traction," says Sara Twogood, MD, an ob-gyn at USC. To help those of us who didn't attend med school get up to speed about PCOS, we consulted three specialists who know the syndrome best: McCulloch, Twogood, and Joshua J. Berger, MD, medical director of the CHA Fertility Center in Los Angeles. If you have PCOS, think you might have it, or simply want to know more, keep reading. Let's start with a definition—or at least as much of a definition as science will allow. "[PCOS] has been difficult to define medically because there are many different manifestations," Berger says. "Many groups have been arguing over the exact definition." For example, in some women, PCOS can be identified by the formation of many small egg-containing cysts on the ovaries, but according to McCulloch, cysts are not even required for its diagnosis. Generally speaking, PCOS can be defined as a syndrome affecting a woman's entire body, particularly her hormonal and metabolic systems. "It is lifelong, begins in childhood, and lasts past menopause," McCulloch says. What does PCOS look and feel like? McCulloch says the condition can cause "a constellation of symptoms such as weight gain, irregular periods, infertility, acne, hair growth on the face, and hair loss." The condition also increases a woman's risks for type 2 diabetes and cardiovascular disease as she ages. In other words, someone with PCOS might only get her period every few months, or possibly not even that often, Berger says. Since elevated testosterone levels are associated with PCOS, she might also notice excess hair (known as hirsutism) or acne on her face and body. To diagnose PCOS, most physicians use the so-called Rotterdam criteria, Twogood says. That means two of the following three points must apply: highly irregular periods (known as oligomenorrhea), increased testosterone as proven by a blood test, and the presence of many small cysts on the ovaries as proven by an ultrasound. The causes of PCOS are not yet well understood, but what we do know is that it's associated with a combination of genetics and environmental triggers, like a poor diet. "If a woman has the genes for PCOS, following a standard American diet can aggravate the condition, as can exposure to environmental toxins like bisphenol-A," McCulloch says. As previously mentioned, PCOS is the most common cause of ovulatory infertility, which can be distressing for many women, says McCulloch. The condition can also cause weight gain and make weight loss quite difficult. "The skin issues like facial hair growth, acne, and hair loss from a woman's head can also be stressful and difficult to manage," says McCulloch. PCOS is also linked to mood disorders like anxiety and depression. "It's a stressful condition to have, but the hormonal imbalances themselves are also likely associated with these [mood] difficulties," McCulloch says. Later in life, PCOS can increase a woman's risk for cardiovascular disease and diabetes, as well as endometrial cancer and pre-cancer, Twogood adds. "It is important to have a multidisciplinary team to help women navigate and optimize all of [this]," she says. Though there is no cure for PCOS, diet, exercise, and birth control are the most common therapies for controlling it. "In some cases, nutrition alone can reverse most symptoms," says McCulloch. Controlling insulin is crucial to treating PCOS because high insulin levels cause the ovaries to create testosterone, which is responsible for so many of these symptoms. "By eating foods that cause us to secrete less insulin, you can see huge improvements in this syndrome," McCulloch says. Healthy fats like nuts and avocados, vegetables, berries, and shrimp are all among the foods that produce the least amount of insulin. Another of the common prescriptions for PCOS is oral contraception, though it can have negative side effects, says McCulloch. "Although the pill regulates periods and may decrease the clinical signs of hirsutism, it causes weight gain and increases the risk of blood clots - already significant issues for women with the condition," she says. Exercise is also a key therapy. Research shows that women who exercise vigorously even for short periods of time see improvements in their symptoms. There are several other treatment options for PCOS, including supplements to improve ovulation rates and aid with insulin resistance. "Since PCOS is a condition that varies from woman to woman, the treatments vary quite a bit as well," McCulloch says. If you've experienced any of the symptoms listed here, be sure to make an appointment with your doctor to get checked out. 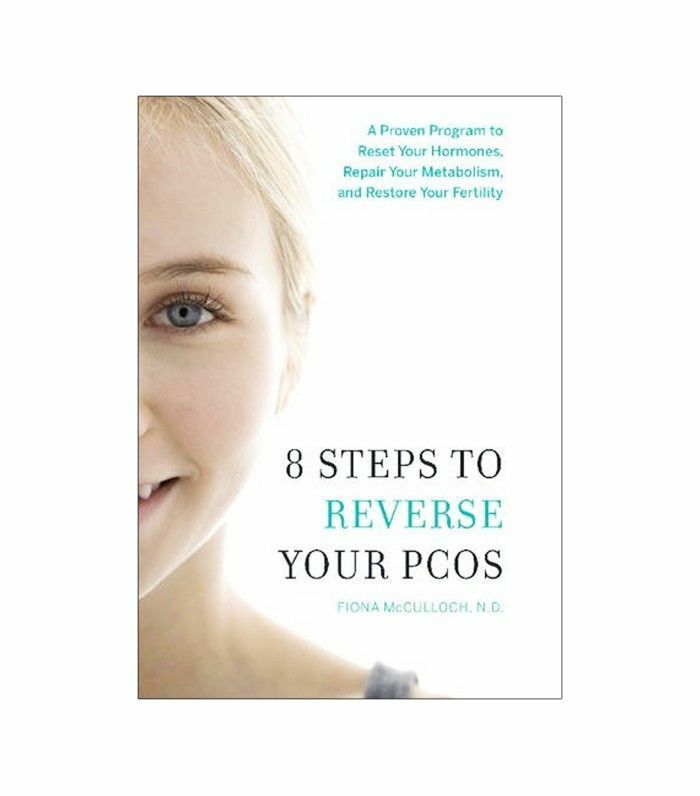 Learn how to manage PCOS with this incredibly helpful and straightforward book by McCulloch, which includes helpful treatment guides, like a nutritional plan centered around insulin demand. Next, don't miss 12 secretly sugary foods that are sabotaging your diet. This post was originally published on September 19, 2016.